This whole week is dedicated to pulled pork. 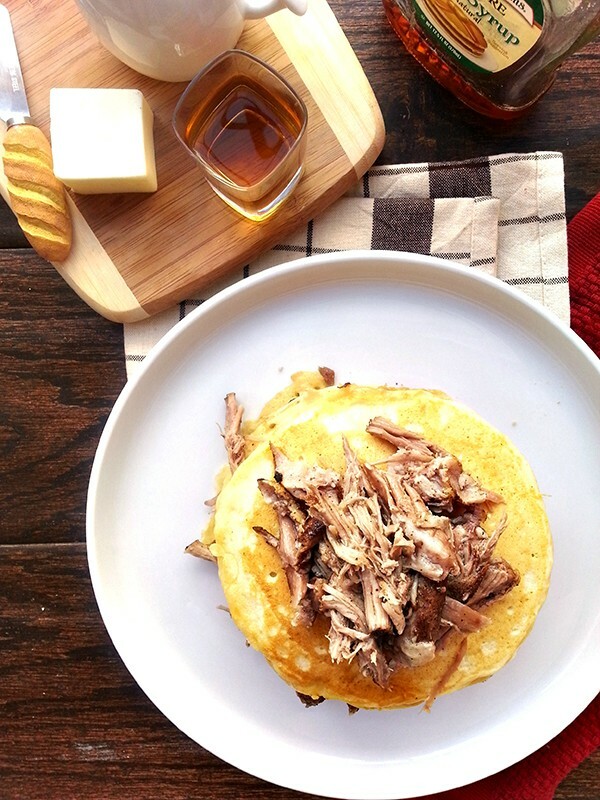 Slow roasted pork shoulder that falls apart effortlessly can be incorporated into almost any meal, including these pulled pork pancakes. When I first saw this dish on my guilty-pleasure show, Diners, Drive-ins, and Dives, I didn’t know what to think. The owners of the Red Wagon Cafe in Vancouver combined two popular classics and turned them into one. 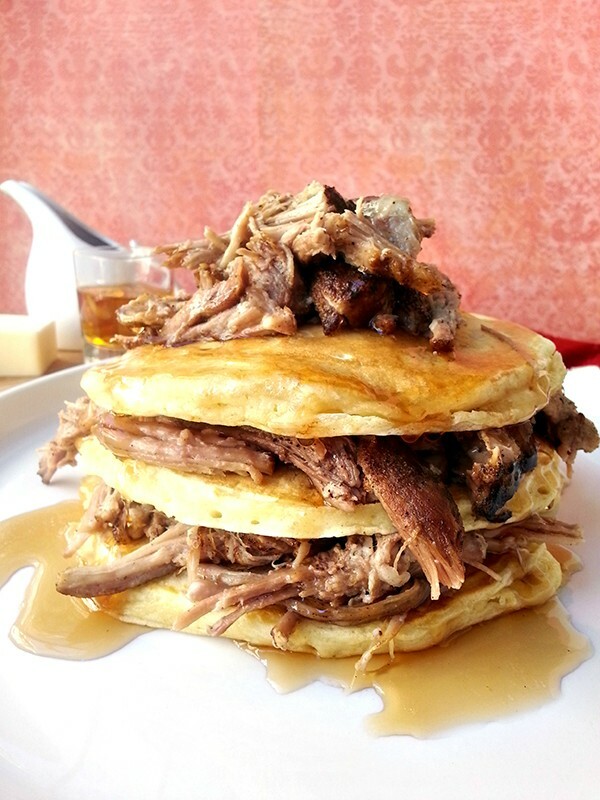 They took it even one step further by drizzling whiskey maple syrup onto the pulled pork pancakes. Insane? Yes. Delicious? Absolutely. Combine seasonings for pork (cumin - paprika). Sprinkle evenly on pork. Heat 1 tbsp oil in nonstick pan over medium-high heat. Add pork and sear on all sides until browned. Remove from heat. Transfer pork to oven-safe baking dish. Add onion, garlic and parsley stems. Pour enough water to submerge almost all of the pork. You want the water to cover 3/4 of the pork but not completely cover it. Cover baking dish with lid or aluminum foil. Braise for 2 hours or until the pork is tender and easily falls apart. Shred pork with two forks. Keep warm. Cook pancakes. In a large bowl, combine dry ingredients (flour - salt). Whisk together buttermilk, milk, eggs and melted butter in a separate bowl. Make a well in the center of the dry ingredients and add the buttermilk mixture. Whisk until just combined. Heat a griddle over medium heat. Pour 1/2 cup batter per pancake and cook until golden brown. Flip and cook another 1 minute or until browned. Repeat with remaining batter. Heat syrup with Jack Daniel's over medium-high heat in a medium sauce pot. Bring to a boil. Remove from heat. 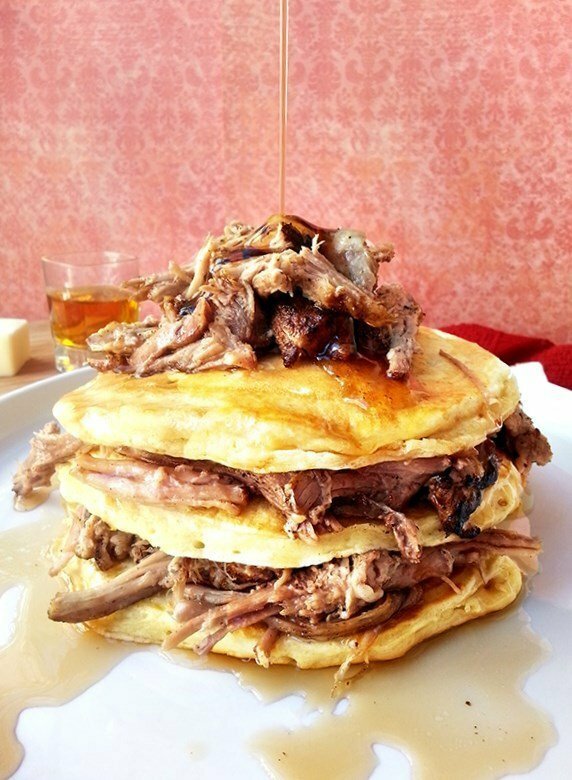 Stack pancakes with pork. 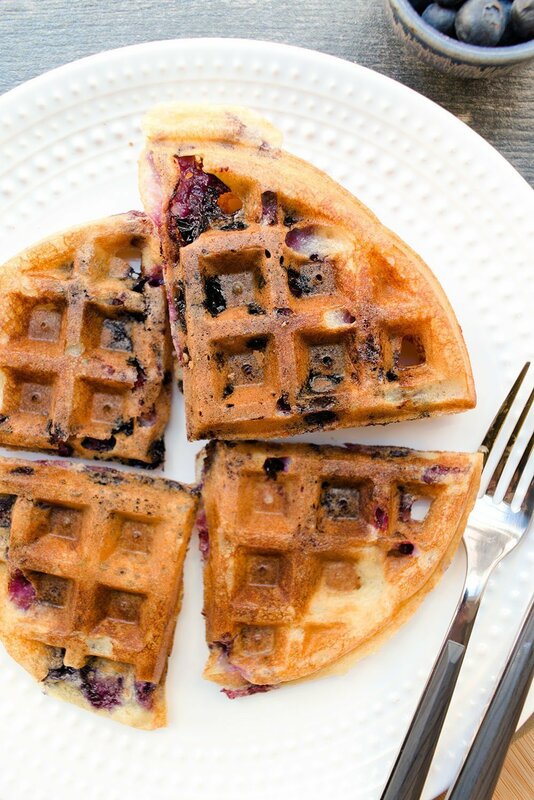 Drizzle syrup on top and serve. Although I’m sure the original dish is perfection, I made the pork my own way. I prefer to slow roast the pork in its natural juices with some spices. For more information on how to prepare the pork, check out my previous post on pulled pork pizza. For the buttermilk pancakes, I went with my classic go-to recipe. I’ve made this version several times with much success; every time the pancakes came out light and fluffy. In the original dish, the pork is finished in a BBQ sauce, but I chose to simply stack the pork with the pancakes and finish it with the whiskey-spiked maple syrup. 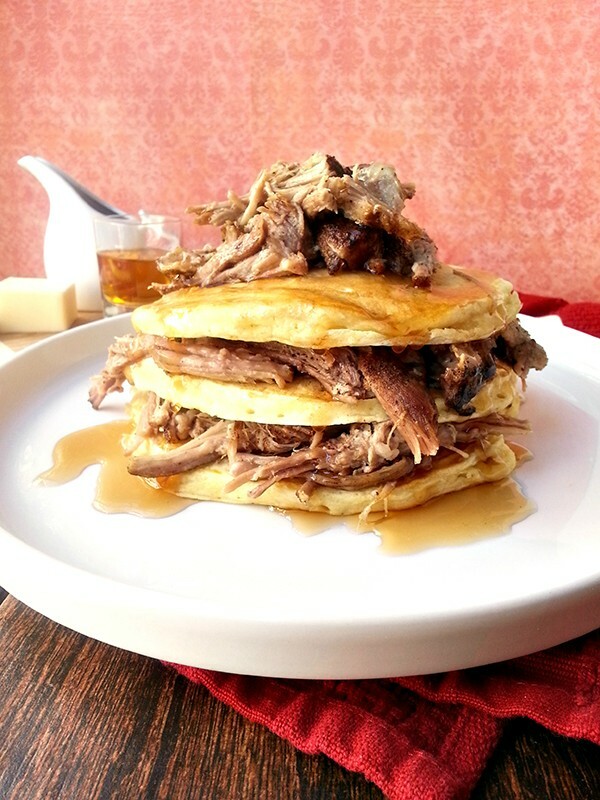 For a breakfast, this pulled pork and pancake dish may seem like a lot of work. but it’s absolutely worth it! The light, fluffy pancakes sandwiched with tender pork and finished with a sweet but dark syrup is enough to either send you in a food coma or boost your energy. This dish is definitely not for the health-conscious eaters, but sometimes you just have to indulge! What an awesome savory pancake recipe! It makes perfect sense....but I never would have thought of it! Gorgeous photos too...thanks so much for sharing these and all your amazing recipes at SNF! These look great, my partner would love these! Thanks for linking up to Sweet and Savoury Sunday, stop by and link up again. Have a great weekend! !